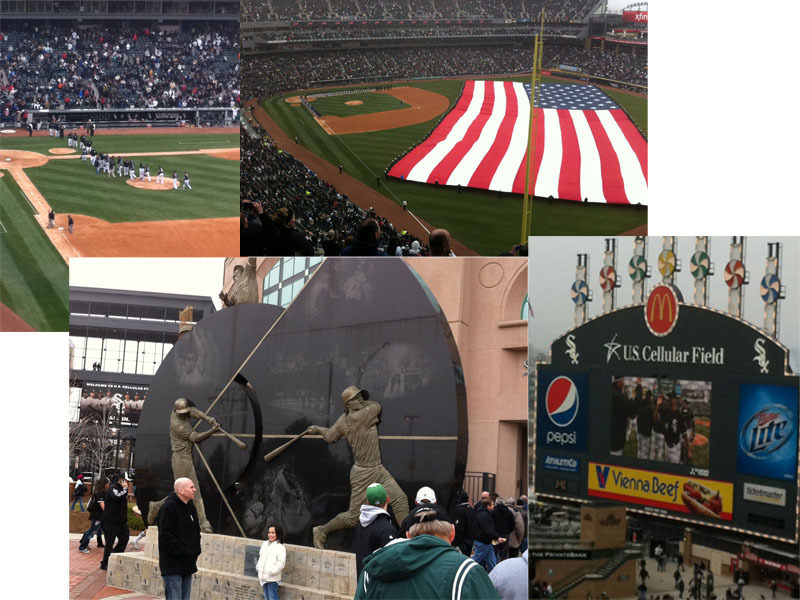 My 19th Opening Day at the Cell out of the last 21 was as good as any I could remember. Not sure what was more impressive, the double-digit hit attack for the fifth game this young season, or Edwin Jackson’s dominating performance over the Rays with 13 strikeouts and one walk. As if those stats weren’t enough, Paul Konerko set a White Sox record by recording a RBI in the first six games of the season. The one thing that made the game more unique than any other Opening Day was the fog that rolled through the Cell during the first few innings of the game. It was if the game was being played on the Moors. The Sox offense continued it’s timely hitting even without the services of Adam Dunn as they drove in a few insurance runs in the eighth by stealing bases and base hits. Juan Pierre continued his hot start to season by going 3-for-5 with a run and RBI including driving in Brent Lillibridge in the eighth. Alex Rios continued hitting for the second straight game after starting the season without a hit in the first four games with two doubles. The game was sold out and it lead to long waits for beer and food, which I did not enjoy. There’s no joy in being a Sox fan as there’s always something, right? You get used to not waiting in line for things, since we’re the red headed stepchild in attendance in Chicago. Based on the season thus far the Sox sold out Opening Day and the Cubs did not, so that may be changing. Opening Day is like a holiday for me and it’s my favorite day of the year. It’s always fun no matter the outcome, but even more fun when your team wins. The Sox have swagger right now, hopefully they can keep it up. Next Next post: South Side Identity Crisis?